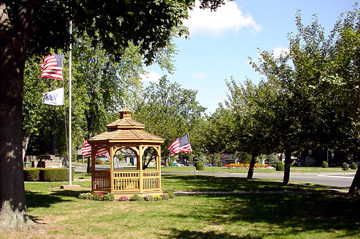 Prior to the dedication of the Gazebo at the Circle on 9/11/02. 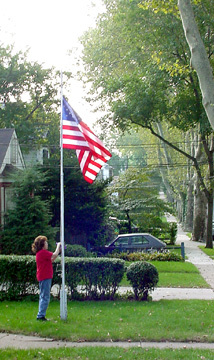 Local resident lowering the colors to half mast. 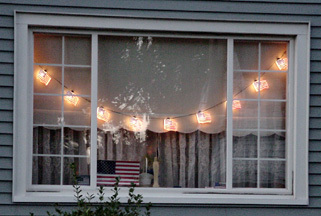 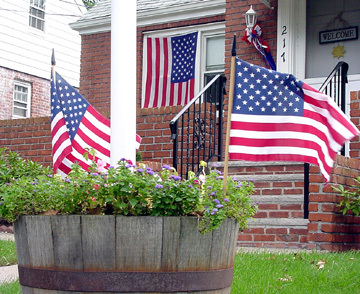 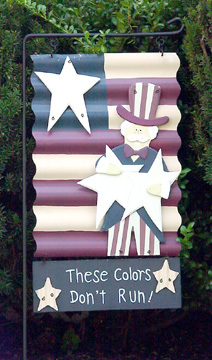 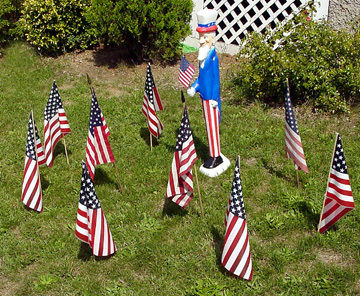 It appeared that just about every household in town displayed the red, white & blue.